Oct. 20, 2014: Chicago police Officer Jason Van Dyke fires 16 shots, hitting 17-year-old Laquan McDonald at approximately 9:57 p.m. on South Pulaski Road. Police learn McDonald is carrying a knife at 9:53 p.m. and McDonald reportedly slashes a tire on a police squad car at 9:56 p.m. 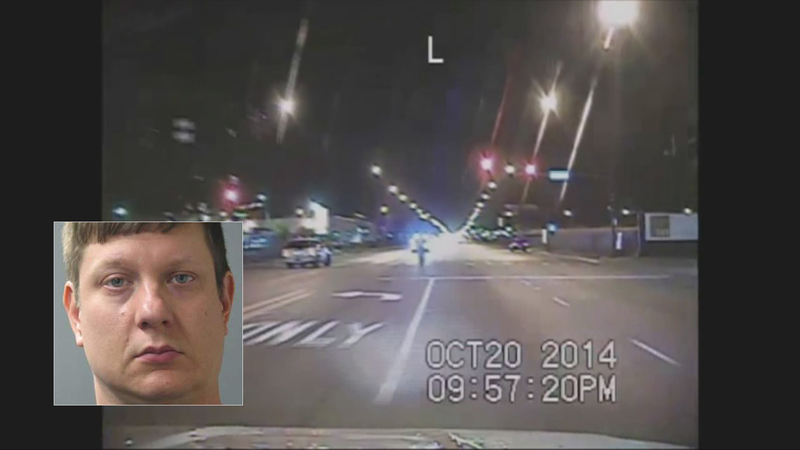 Prosecutors later state that 14-15 seconds pass between Van Dyke’s first and last shots. McDonald is on the ground for 13 of those seconds. April 15, 2015: Chicago City Council votes 47-0 to approve a $5 million settlement with the family of McDonald. The family has not filed a wrongful death suit. Nov. 19, 2015: Cook County Judge Franklin Valderrama orders city officials to publish dashcam footage of the shooting by Nov. 25, 2015 following a legal battle brought about by journalist Brandon Smith, who fought for the video’s release. Nov. 24, 2015: Van Dyke is charged with six counts of first-degree murder in the shooting death of McDonald. Nov. 24, 2015: The city releases footage of the shooting for the first time, sparking days of protests. The video shows the teen walking away from Van Dyke when he is shot, conflicting with the police department’s initial narrative that McDonald had lunged at Van Dyke. Dec. 1, 2015: Mayor Rahm Emanuel fires Chicago police Superintendent Garry McCarthy amid growing public pressure following the release of the McDonald shooting video. March 15, 2016: Incumbent Cook County State’s Attorney Anita Alvarez is defeated in a Democratic primary by challenger Kim Foxx. The McDonald shooting was a main issue in the election. Foxx goes on to win the general election in November. Aug. 4, 2016: Judge Vincent Gaughan appoints Kane County State’s Attorney Joseph McMahon as special prosecutor in Van Dyke’s murder case. Alvarez had previously recused her office from the prosecution. June 27, 2017: Chicago police Officers Joseph Walsh and Thomas Gaffney and detective David March are indicted on charges of conspiracy, obstruction of justice and official misconduct relating to an alleged cover-up of the McDonald shooting. Dec. 13, 2017: Gaughan quashes a defense motion seeking to compel journalist Jamie Kalven to testify about his sources. Kalven was the first to report on inconsistencies in the police department’s reporting of the McDonald shooting. July 17, 2018: Gaughan schedules Van Dyke’s murder trial to begin Sept. 5, 2018, nearly four years after the shooting of McDonald. Sept. 5, 2018: Scheduled trial date in first-degree murder case of Van Dyke. Oct. 5, 2018: Van Dyke found guilty of second-degree murder and 16 counts of aggravated battery with a firearm. Jan. 18, 2019: Sentencing hearing for Van Dyke is underway.